More on the ethics-related fragments of Epicurus and accounts by Martha Nussbaum and Tim O’Keefe. What would a purely therapeutic philosophy consist of? Does philosophy as pursuit of pleasure mean that you eschew political action or other substantial goals? Mark, Wes, and Dylan try to figure out which of our desires are vain and whether society is compatible with human happiness. Listen to part one first or get the unbroken, ad-free Citizen Edition. 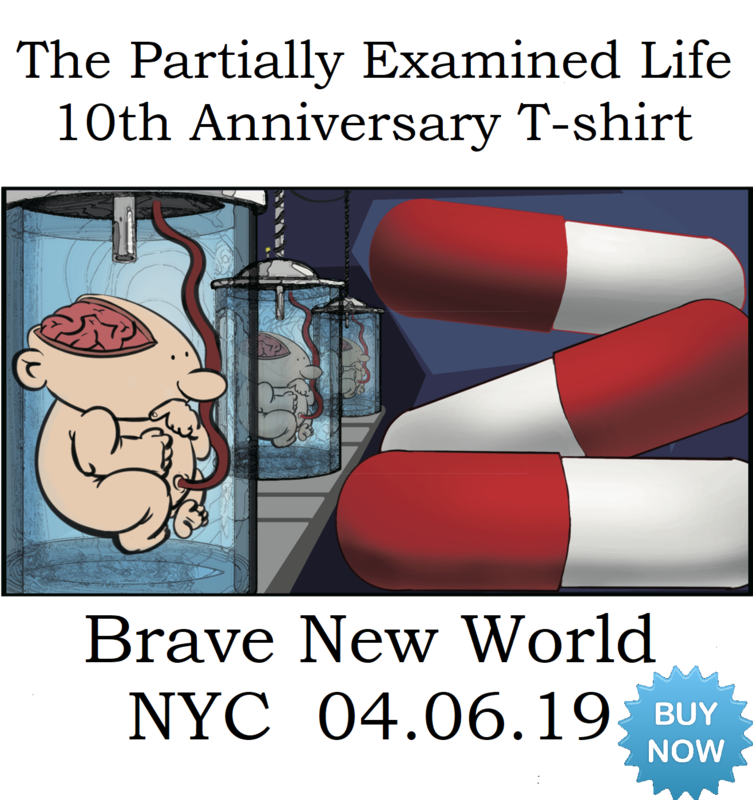 Tickets are now available for PEL Live: See partiallyexaminedlife.com/pel-live. End song: “The Language of the Body” by Ant-Bee as discussed on Nakedly Examined Music #68. Sponsors: Take back your Internet privacy with 3 months free at EXPRESSVPN.com/PEL. Visit the St. John’s College Graduate Institute: partiallyexaminedlife.com/sjcgi. On the extant fragments of Epicurus (341–270 BCE) dealing with ethics, including his “Letter to Menoceus,” “The Principal Doctrines,” and “The Vatican Collection of Epicurean Sayings.” Plus Tim O’Keefe’s Epicureanism (2010) and Martha Nussabum’s The Therapy of Desire (1994). How are we supposed to act once we understand nature as atoms bouncing and swerving around in the void, temporarily producing order through fortuitous collisions? Ruling out demanding gods means ethics is dictated by human nature: we avoid pain and pursue pleasure. However, we’re very bad at this, and Epicurus wants to fix all of us! Don’t wait for part two; get the full, ad-free Citizen Edition now. Come see us live in NYC on Apr. 6. 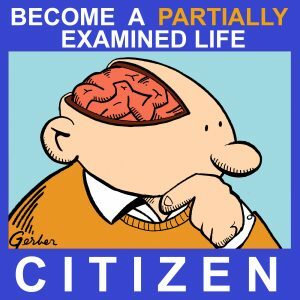 Read more at partiallyexaminedlife.com/pel-live. Don’t forget your 2019 Wall Calendar with free domestic shipping: partiallyexaminedlife.com/calendar. Sponsors: Visit thegreatcoursesplus.com/PEL and EXPRESSVPN.com/PEL. The resolution to follow Epicurus is a resolution to protect one’s mind. We live in a dysfunctional consumerist society filled with anxiety and neuroses, where few people analyse their lives, most have a short attention span and are uninterested in disciplining their minds and curbing mindless desires. If philosophy is understood as the Epicureans understand it, then it becomes evident that people desperately need philosophy today.